Were Hedge Funds Right About Flocking Into BanColombia S.A. (CIB) ? Insider Monkey finished processing more than 700 13F filings submitted by hedge funds and prominent investors. These filings show these funds’ portfolio positions as of December 31st, 2018. In this article we are going to take a look at smart money sentiment towards BanColombia S.A. (NYSE:CIB). BanColombia S.A. (NYSE:CIB) has seen an increase in activity from the world’s largest hedge funds in recent months. CIB was in 6 hedge funds’ portfolios at the end of the fourth quarter of 2018. 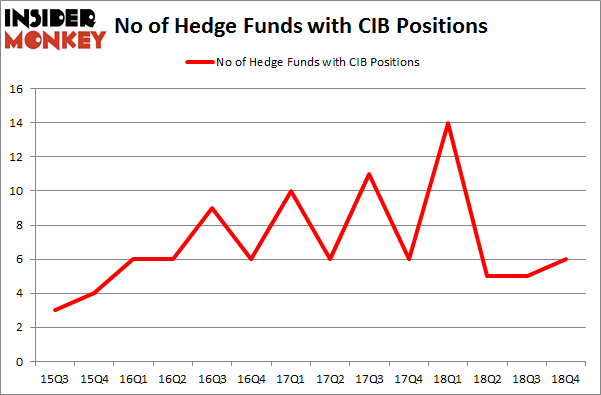 There were 5 hedge funds in our database with CIB positions at the end of the previous quarter. Our calculations also showed that CIB isn’t among the 30 most popular stocks among hedge funds. We’re going to take a look at the key hedge fund action surrounding BanColombia S.A. (NYSE:CIB). What have hedge funds been doing with BanColombia S.A. (NYSE:CIB)? At the end of the fourth quarter, a total of 6 of the hedge funds tracked by Insider Monkey were long this stock, a change of 20% from one quarter earlier. On the other hand, there were a total of 14 hedge funds with a bullish position in CIB a year ago. So, let’s see which hedge funds were among the top holders of the stock and which hedge funds were making big moves. According to Insider Monkey’s hedge fund database, Polaris Capital Management, managed by Bernard Horn, holds the number one position in BanColombia S.A. (NYSE:CIB). Polaris Capital Management has a $73.9 million position in the stock, comprising 3.4% of its 13F portfolio. Coming in second is Jim Simons of Renaissance Technologies, with a $6.5 million position; the fund has less than 0.1%% of its 13F portfolio invested in the stock. 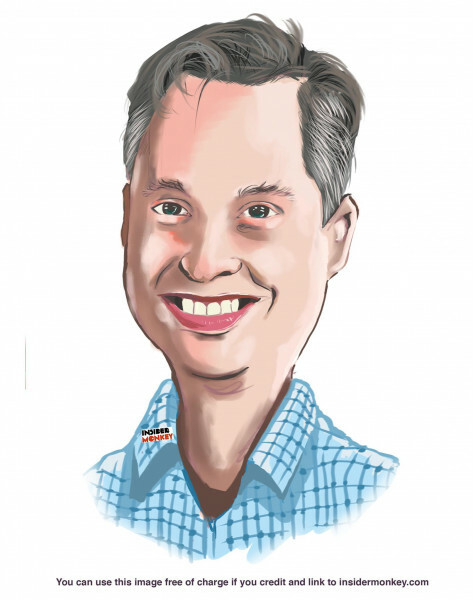 Some other hedge funds and institutional investors with similar optimism encompass William B. Gray’s Orbis Investment Management, Thomas Bailard’s Bailard Inc and John Overdeck and David Siegel’s Two Sigma Advisors. Now, key hedge funds have jumped into BanColombia S.A. (NYSE:CIB) headfirst. Two Sigma Advisors, managed by John Overdeck and David Siegel, created the biggest position in BanColombia S.A. (NYSE:CIB). Two Sigma Advisors had $0.8 million invested in the company at the end of the quarter. Let’s now review hedge fund activity in other stocks – not necessarily in the same industry as BanColombia S.A. (NYSE:CIB) but similarly valued. These stocks are Macy’s, Inc. (NYSE:M), AGNC Investment Corp. (NASDAQ:AGNC), Molson Coors Brewing Company (NYSE:TAP), and Seattle Genetics, Inc. (NASDAQ:SGEN). This group of stocks’ market valuations match CIB’s market valuation. As you can see these stocks had an average of 23.75 hedge funds with bullish positions and the average amount invested in these stocks was $1220 million. That figure was $86 million in CIB’s case. Macy’s, Inc. (NYSE:M) is the most popular stock in this table. On the other hand Seattle Genetics, Inc. (NASDAQ:SGEN) is the least popular one with only 16 bullish hedge fund positions. Compared to these stocks BanColombia S.A. (NYSE:CIB) is even less popular than SGEN. Considering that hedge funds aren’t fond of this stock in relation to other companies analyzed in this article, it may be a good idea to analyze it in detail and understand why the smart money isn’t behind this stock. This isn’t necessarily bad news. Although it is possible that hedge funds may think the stock is overpriced and view the stock as a short candidate, they may not be very familiar with the bullish thesis. Our calculations showed that top 15 most popular stocks among hedge funds returned 19.7% through March 15th and outperformed the S&P 500 ETF (SPY) by 6.6 percentage points. Hedge funds were also right about betting on CIB as the stock returned 34.1% and outperformed the market as well. You can see the entire list of these shrewd hedge funds here.